Are you ready to take your lunch up to a whole new level? 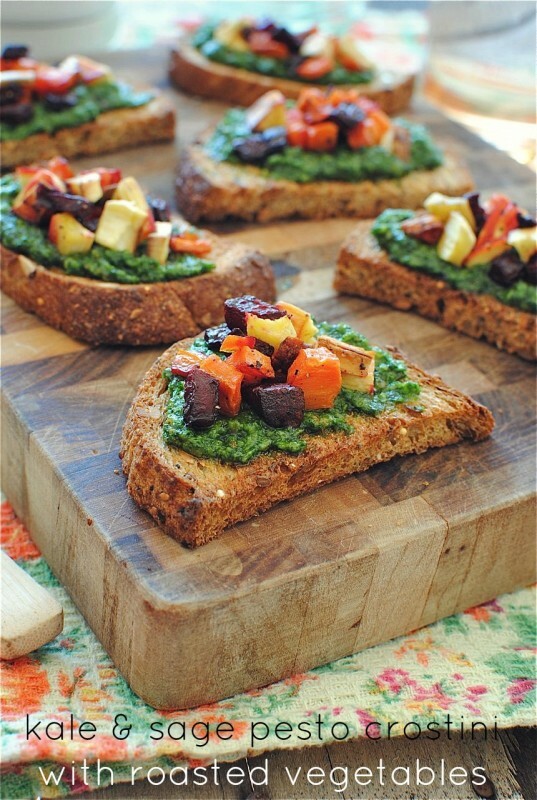 If so, then you must try this Kale & Sage Pesto Crostini complete with roasted veggies! To see the complete recipe, click on over to Bev Cooks!